Days like Thursday, March 22, 2012, on the surface are sheer fun, but in retrospect become far more. For this reason, I take my notebook with me wherever I go, and I recommend that other creative people do the same, whether they are writers, composers, painters, sculptors, actors, designers, whatever. This is a way to capture ideas that we can tap into later. If you want the tip for recognizing and capturing creative moments when they come, you just missed it. Reread and stop here if that's all you wanted. If you want to know where the possibilities for finding inspiration lie for me personally, then read on. I list them, of course, not only to recall at a future time where my own creative ideas arise, but to suggest how you might want to quickly record your own. Under sunny skies, temperatures in the low seventies (22 Celsius), and a refreshing breeze, it was a perfect day for long uptown walk through New York City after a late morning appointment with a client, so I decided to walk five miles from the Front and John Streets near the South Street Seaport to 42nd Street and Ninth Avenue, with heaps of planned pit stops in between, including Au Bon Pain on Broadway, where I had the chance to take notes about my meeting while eating lunch; J&R Records on Park Row, where I discovered great bargains on compilation albums by my favorite jazz artists; Sarah & Serafina's Shop at 688 Broadway, where I found just the porkpie hat I was looking for and met Serafina, the kindly proprietress from Peru; Shakespeare and Company, a block up on Broadway, New York University Bookstore, a couple doors farther uptown, and Strand Books, a half-mile farther north, where I previewed valuable reading material and enjoyed searching for desired book titles; and then a mile west across town to Smalls Jazz Club in West Greenwich Village, where I caught a bit of the excellent afternoon jam session before running out of time and realizing that my wife would be waiting for me uptown long before I got there if I continued walking. (Wow, a 219-word sentence!) I aborted the five-mile walk, settled for three-and-a-half, and took the final two by the Number 1 train, followed by a quarter-mile stroll to the parking garage where my wife was waiting for me. It's a good thing she came into New York by car because I was carrying a lot more when the walk had ended, so I packed my stuff into the car and we had the evening ahead of us. from 1933 to 1955 (photo by Philip Vassallo). In my first book on writing, The Art of On-the-Job Writing, I urge readers to let serendipity happen when drafting. In other words, just put one letter down after another until you make a word, then one word after another until you make a sentence, without concern for quality. In the book, I refer to a Ray Bradbury quote: "Go to the edge of the cliff and jump off. Build your wings on the way down." If struggling writers took such advice, they would be far more productive. Grim Grammarians - These people are so aware of inflexible grammatical rules and corporate communication standards that they dare not write anything they consider "wrong," resulting in limited output. Nervous Novices - These writers, as newcomers to the workplace or to a company, have no reliable standards to follow, so they feel lumps in their throat, knots in their stomach, and hives on their fingers when they need to write to a large internal or external audience, or even to their teammates or managers. 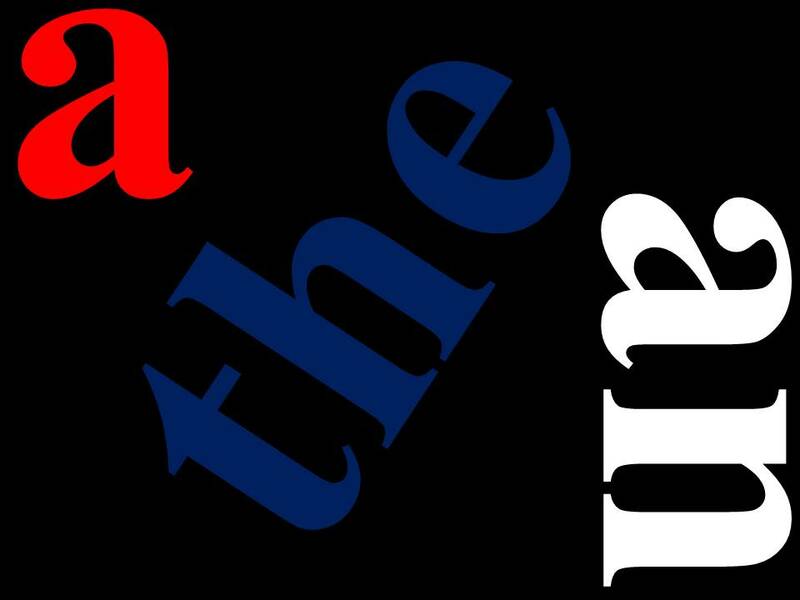 Linguistic Lowbrows - These writers are keenly aware of their weaknesses in sentence structure and word usage; consequently, they dread being exposed and embarrassed by their substandard use of language, regardless of their exceptional subject-matter expertise. Here I want to use a recent experience as a metaphor for letting serendipity happen. Sunday, March 11, was an unseasonably warm day, so I decided to stop working and enjoy the sun. My wife and I drove 25 miles south to Princeton for an aimless, leisurely walk on Nassau Street. On the way to my usual stop at Labyrinth Books, one of the best bookstores in New Jersey, I noticed an interesting exhibit at the Historical Society of Princeton, Einstein at Home, which details Albert Einstein's two-decade residence in Princeton. 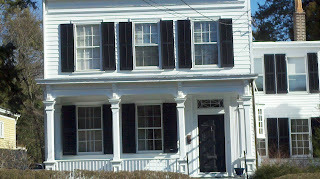 Seeing that the house in which he lived (pictured) was only a short walk from Nassau Street, we decided to walk to it. On the way there, we noticed a lot of cars pulling into Princeton Theological Seminary, so we decided to follow the crowd into Miller Chapel on the Seminary grounds. A concert featuring four local high school-aged choirs had just begun. One particular performance of an uplifting South African medley by the Princeton Girlchoir inspired a standing ovation from the 300 attendees. We then walked through the Princeton University campus, past the architecturally magnificent Alexander Hall, Nassau Hall, Princeton Chapel, and Firestone Library. On the way to the car for the return drive home, we stopped at Labyrinth Books, where I discovered an interesting book related to my business, Punctuation: Art, Politics, and Play by Jennifer DeVere Brody, which I put on my reading list. What a perfect way to spend four hours. An otherwise regular Sunday workday became an unplanned drive to Princeton full of unexpected surprises, including a fine museum exhibit, a free choral concert, a discovery of a useful book, and an invigorating walk. Most important, I enjoyed quality time with my wife. 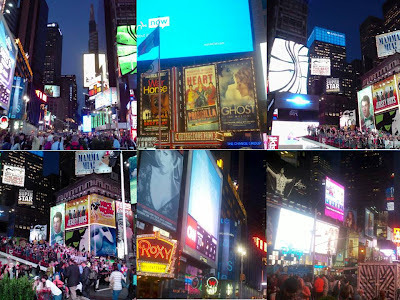 All of this just by letting serendipity happen. Not bad for a guy who nearly always remains a slave to his busy schedule! Writers can easily do the same thing by letting their brain connect to their fingers, typing one word after another until something of value comes out. Don't let the rules of writing stop you. My friend, there are no rules. Attending one of my recent writing classes was a Russian woman (let's call her Natalyia), who holds a doctorate in chemical engineering from her native country as well as a master of civil engineering degree and a professional engineering license from the United States. In addition, Natalyia played piano on a concert level in the old country, and a brief conversation would reveal she's a wiz in European history and Russian literature. Calling her brilliant is an understatement, yet she claims that she will never master English articles (the, a, and an) because they do not follow linguistic rules logically and consistently. But does anyone really think that language is perfectly logical? While Natalyia's assessment of the article is correct, her self-assessment is not. For those of us born to the English language, the article comes naturally. Native speakers of other languages that have articles (e.g., Spanish) should find learning the English article easier than would Russians, Chinese, Indians, and others whose language does not have the article. True, it may never come as naturally for Natalyia as it does for her American-born nine-year-old daughter, who often corrects her mother's article usage, but mastery will come from regular, focused reading of quality writing and from nudging her English-language native colleagues to review her writing until she makes fewer errors. I arrived in United States from former USSR with my husband. I pointed out to her that proper nouns like America, Russia, and England do not need the definite article the, but States in United States, the implied Union in USSR, and Kingdom in United Kingdom are common nouns in other contexts; therefore, we state these countries with the definite article (the United States, the USSR, and the United Kingdom). We also say the Himalayas because we assume the mountains, the Nile because of the river, the Arctic because of the ocean, and the Caribbean because of the sea or the islands. It gets worse. Many Brits are comfortable saying, "I'm from UK," but most Americans would say, "She's from the UK." And why do we say the Bahamas when the origin of the word is questionable? The Russian language is more structured than English. Perhaps that's because grammatical rules are stressed more in Russia than in the US. I'm not sure Natalyia's observation is right, but she got her articles right! We Americans have an expression that confuses most everyone else: "That's history." We say it to mean that the point of discussion is irrelevant. How interesting that so many people in the United States abhor the past, probably because of the country's relative youth and its citizens' appetite for future opportunities. Most non-Americans would say that history is everything. They live on the soil whose past has been documented for more than two millennia. As a result, they feel more connected to their ancestral ties and cultural traditions. I do not fault this attitude among Americans for two reasons. First, they left the old country for a new start in a place that promises an equal opportunity, and succeeding generations who have always lived in America have that wanderlust in their blood. Second, we have a pretty cool culture, which we constantly make up as we go along: the telephone, Hollywood, the radio, the laptop, the smartphone, jazz, bluegrass, rock, soul, hip-hop--not too shabby. Nevertheless, most Americans who understand the meaning of this photo would say that they greatly value recent history. 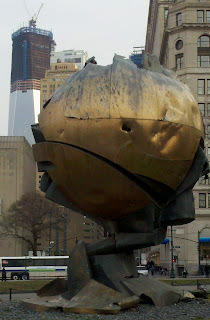 In the foreground is The Sphere of the former World Trade Center, which was reinstalled at Battery Park as a memorial to those who lost their lives on September 11, 2001. In the background to the left is the new World Trade Center under construction. In this photo, we can see the aftermath of an atrocity committed by terrorists as a direct attack on America on its darkest day as well as the optimism that epitomizes America in its vision, resoluteness, and diligence. More than anything else, the photo speaks for Americans' passion for freedom, pursuit of progress, and quest for equality. In this photo, we can see both the past and the future in harmony.